22 Michaels: Finishing my MBA? In 2005 I started an MBA at the Australian Graduate School of Management. I'm 2/3 of the way through and I'm not sure that I'm going to complete it. In my first semester I was ridiculously excited by the prospect of doing some more study, so I did 2 rather than the recommended 1 subject. One of those subjects, Managing People and Organisations is without a doubt the best subject I have taken in any educational course. We had an amazing class of people, many of whom I'm still very good friends with, a fantastic facilitator, Shushana Evans, and the course material covered really interesting areas I'd not studied before including Organisational Psychology and theories of what motivates people. I got a huge amount from this course. Since then, the MBA has been a bit of a let down. The other compulsory courses I took, Finance, Accounting, Economics and Marketing I'd already covered in my Commerce degree so I didn't get a lot from these. I couldn't get credit for these because in theory they were 'taught at a higher level in the MBA'. In reality the material was nearly identical. For my electives I was hoping to replicate the Managing People and Organisations experience so I took Managing Change and Managerial Skills, but I'd moved from Brisbane to Sydney at this point and the classes in Sydney were much bigger and less personal, and while the facilitators were good, they didn't match Shushana. The amount of time that the study was taking up, on top of a full time job and dabbling in some startups had me feeling pretty burnt out. I've now had 18 months off from study. The final 1/3 of the MBA course is called the 'Executive Year' or 'Strategic Management Year'. It's split into 4 parts, takes 10 months, costs $30,000 and involves 4 x 5 day intensive residentials at the UNSW campus, then group meetings and assignments in between. I've heard mixed reports about it. Most people say they got a lot of value from it, they've met some amazing people and learnt some great lessons from the case studies covered in the course. However some people have said that they would come home from the residential sessions exhausted having had little sleep, the groups they were placed in weren't that great and that the cost in both money and time wasn't worth it. Given I'm working some pretty crazy hours on Shoes of Prey at the moment, I just don't think I can bring myself to do that year. The thought of doing assignments and exams actually makes me feel ill. I'm told that the residentials are very intense and apparently it's difficult to get away with spending less than 10 hours per week on assignments during the rest of the year. What little work life balance I have at the moment I think I'd rather keep. $30,000 is a lot of money when I'm not drawing a salary from Shoes of Prey at the moment. In 2004 I was so excited by the prospect of further business study that I would have read about 20 different business books and loved all of them, then when I started the MBA in 2005 I looked forward to sitting down and reading the materials each week. I'm in a completely different head space now. I feel like I'm all business booked out, I'm over the theory and instead I'm enjoying the practical side of running a business. I haven't read a business book in over a year. I don't mind business blogs, but when it comes to reading books I'm finding myself drawn to science fiction or something that puts my mind in a different place to where it is during the work day. So at this point in time I don't think I'll finish my MBA. I'd like to think that might change and I do go back and finish it in the coming years but unless I get that motivated feeling back I had when I started the course, I think I'm better off not forcing it. If you've completed an MBA or some post graduate study, or are thinking about doing it I'd be interested to hear your thoughts. My MBA was a mixed experience. Some classes were so pointless they were agony. Others were a true education. Given your current life course is an education too — and a perfect example of what I call lean learning — I can understand wanting to put the MBA on an indefinite hold. I would say, however, that of the units that really taught me something, the best was the MBA's capstone unit. In that subject, we formed businesses in groups. Funnily enough, they were shoe businesses. Week in/week out, these businesses competed with each other. Our business started with a clear strategy. Then we diluted it — a little bit premium, a little bit affordable, a little bit specialised, a little bit of everything — and started to lose our way. Before long, we were bleeding cash. Then we found our nerve again, and turned around the business. It was an experience I'd recommend to anyone. It's just a shame I had to sit through so many sub-standard units to get there. One day can you please post a list of your Top 10 Business Books? As a fellow survivor of that 'high water mark MPO subject',(and having just invested my final $6K into my 5th year of P/T study), your ponderings were well timed. My experience has been interesting to transfer to UQ after Grad Dip with AGSM, it has given me a broader range of perspectives than had I completed at one School, with varying levels of success in delivery. I recently saw the comment that primary strengths of MBA graduates are business acumen, intellectual ability, a commitment to continuous learning, long term projects and an ability to juggle work and home life. The motivation factor is critical, and somehow Michael, I don't think you need to convince anyone of any those things!! Otherwise, do it when you need a tax deduction. Mate, I'm in a very similar position. The words "Graduate Diploma in Mgt" just don't resonate with people the same way as "Executive MBA", but in essence we're both 2/3rd through and wondering. My issue came from the fact that whilst the material was good, I was learning more from the people in my class than some of the lecturers, and I couldn't get enough regular access to those people due to conflicting busy schedules. $30k is a huge amount of cash, especially when you look at it as an investment from a personal stand point. What is interesting, would be to see how many of those people who rate the value, actually paid for it themselves. I loved the value of my MBA whilst Deloitte were co-sponsoring me. If I'd have been splashing the cash, I think I know what the decision would have been. Hi Steven, good thoughts. 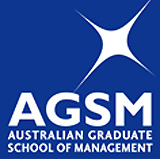 The AGSM 'Executive Year' does sound like it would be similar to your capstone unit in that it ties together the rest of the course and there are lots of case studies. Interesting that you guys got to run mock businesses as part of your course, that would be a great way to tie it all in. Where did you do your MBA? I'm impressed you managed to teach yourself Ruby on Rails with little to know programming experience! Lean learning, great theory and agreed, if you can get passionate and motivated about something I think that's the best way to learn. I think Mike would love it if I did the same as you and learnt some programming skills! Anonymous - great idea with a list of top 10 business books. I'll have a go at that. Rohan - Congrats on having almost finished, good on you for getting through it. Great to hear you had some good experiences finishing off the course at UQ. Good point on re-evaluating when I have some income and can at least use the fees as a tax deduction. Perhaps my motivation will have picked up a little then. Dom - Agreed that the best thing about the course is the people. Studying with a smaller group of people in Brisbane and having the same people from class to class made it much easier to stay in touch with our busy schedules. I think Brisbane life is a little more laid back than Sydney too making it easier to catch up more regularly. Good point about having an employer pay for the course, I'd probably find it much easier to justify if I didn't have to cough up the $30k myself. Hi Michael. I started my MBA at RMIT University in Melbourne and finished it at UTS in Sydney. Good luck whatever you choose. I think a lot of universities use the same simulation as we did for their capstone subjects. Another option is to include a minor stream in a complementary area. Not commerce obviously as you already have a business of your own and a commerce degree. But something that will help you in your business life. I did a minor stream in PR but that was probably a mistake as I was already working in PR and learning that subject area on the job every day. But a minor in a relevant stream of computer science, psychology, etc would have been a useful way to get those final credits. Well I am pretty sure that you already know my thoughts *cough cough quitter cough*, but thought I would jot down a few for you on the site here since you said such nice things about my MPO class…. The $30K is a big wad of cash, but having done finance as you mentioned you should talk about the opportunity cost – ie what else could you do with that capital? When you factor in the PELS scheme which will effectively loan you the money at a capital rate set at CPI (1.8% last year), it becomes a slightly different picture. I currently have ~$55k in education loans and even if I had that kind of cash lying around, I certainly would not be paying off that debt. Even at the lowest rate of return (let’s say crappy savings account – 6.5%) I would still be earning around 5% net on that money. Payments are due on a sliding scale and this is added to your tax bill, but even still it is fairly small in the scheme of things (at current rate I should have it paid off by around 2065. honestly) So while it is certainly‘real debt’ and I am unsure how/if it would affect your credit rating or if that was even relevant, I think this aspect is somewhat more nuanced than a simple $30k hit. As for the content, yes there is certainly a lot of theory to be read/learned/understood, but the reality is that I didn’t do any pre-reading after the first res. And I think that your current business would naturally make a fantastic case study for all of the personal assignments – so basically you would be writing 4 serious strategy papers for Shoes of Prey and having these peer reviewed and workshopped. Admittedly there are about 20 other pieces as well, but it’s all part of the game. • Reflecting and Planning – the action learning cycle. Nuff said. • Learning from other entrepreneurs – see point 1. Probably a smallish subset of the class, but quality stuff nonetheless. • Promoting Shoes of Prey – see point 1 and replace consulting with consuming. After all, I think this is pretty much your target demographic personified…. • Meeting other entrepreneurs - and again. With respect to the time element, I think you should frame this not in a way that it would be an extra 20 hours a week, but have a realistic look at what the net increase in workload would be. For example, if you are doing a strategy paper on Shoes of Prey to improve market share in a region as an assignment, are you also going to be working on that same thing as part of your day job? Now unless you are using Enron standard of accounting, I would think not. So there would be some cross-over with planning, networking, brainstorming, promoting. Sure, it wouldn’t be totally accounted for, but even if you could write off 5 hours of that, then it’s still a 25% reduction and you are now only looking at 15 hours per week. And finally, I have kept the most persuasive argument for last. If you completed the exec year I would shut up about it. Maybe. Came across your blog recently through Shoes of Prey and its been a great read! I was made redundant 2 years back - and it seems that the skills I have now(mostly in print graphics) are nearly made extinct to be honest! It is frustrating as people are not looking for those skills as much because they're looking mostly for web or digital designers. At the same time though it has pushed me to take that step and learn more of this digital world to adapt to this change (mind you i only graduated 4 years ago!) - to take on a masters degree in multimedia. So I believe not finishing your MBA now is not much of an issue - as long as you know the time is right to take it back on again! And by then, there might be something better then that! Steven - the footwear simulation sounds great. In regards to picking a minor stream the AGSM MBA isn't too flexible in that regard. You get 2 electives and the rest of the course is a set program. I chose HR related electives (Managerial Skills and Managing Change) as that was an area I hadn't covered in my undergrad but unfortunately that's only about 15% of the course. It's a good suggestion for others studying an MBA though. Yvonne - That's an interesting story and sorry to hear about the redundancy and your print graphics skills being made obsolete. Good on you for taking up a Master degree in multimedia, that sounds like a smart move. I've completed 3 degrees because I wanted to- journalism, teaching and psychotherapy. By the time I'd finished the 3rd, I was over reading and have hardly read a book since, except in an area I'm particularly interested in. I read the internet all the time. I relate to feeling sick at the thought of doing assignments. * Always * listen to how you feel. Have an MBA, don't think it helps much - especially compared to the cost it burdens me with! Hi Mike, I'm doing my AGSM MBA now. Was curious to know whether you ended up completing it and how you're generally going? Shoes of Prey wins 3 ORIAs!